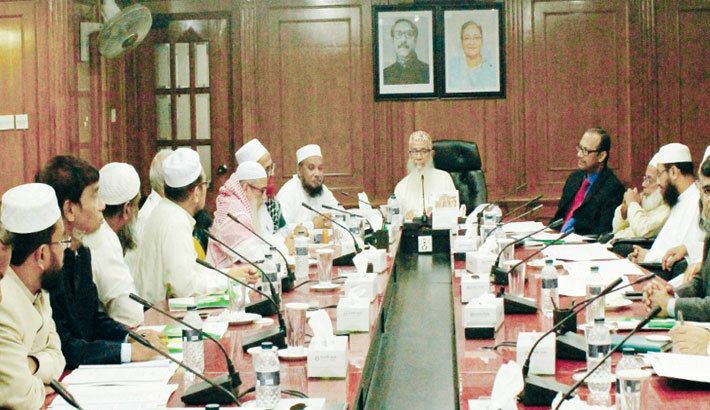 Islami Bank Bangladesh shariah supervisory committee Chairman Sheikh Moulana Mohammad Qutubuddin presides over a meeting of the committee at Islami Bank Tower in the capital on Monday. A meeting of the shariah supervisory committee of Islami Bank Bangladesh Limited was held at Islami Bank Tower in the city on Monday. Sheikh Moulana Mohammad Qutubuddin, Chairman of the committee presided over the meeting, said a press release. Dr. Mohammad Abdus Samad, Member Secretary and other members of the committee and Md. Mahbub ul Alam, Additional Managing Director of the bank were present on the occasion.